Documentary trailer from "One Day in September"
An Israeli Olympic official has caused outrage after he refused to support the call for a minute’s silence at the London Olympics in honour of the 11 Israelis murdered by Palestinian terrorists 40 years ago. 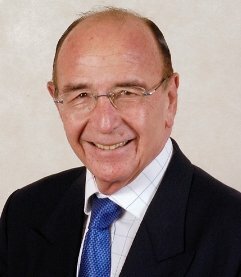 Alex Gilady, an Israeli International Olympics Committee member, said a minute’s silence “may harm the unity of the Olympics” and “could cause some countries to boycott the Games”. Mr Gilady covered the 1972 Munich Games as a journalist for Israeli television, and returned to the country alongside the coffins of the dead athletes. He said: “Why now? There was a minute’s silence in Munich the day after the murder and it would have been appropriate to have had a minute’s silence in Montreal in 1976. I don’t know why that didn’t happen. Israel’s only IOC member sides against silent commemoration for slain athletes. Sport and Culture Minister Limor Livnat on Monday lashed out at Alex Gilady, the only Israeli who is a member of the International Olympic Committee, for siding with the IOC’s decision not to hold a minute’s silence to mark the 40th anniversary of the murder by Palestinian terrorists of eleven members of the Israel Olympic team at the 1972 Munich Olympics. Livnat said that in a private conversation Gilady had told her that the time is not yet opportune to call for a minute’s silence. An angry Livnat said that forty years was more than enough time, and wondered aloud if the decision would have been different had the athletes not been Israelis, not been Jews. Speaking at a reception hosted by President Shimon Peres at his official residence for Israel’s Olympic and Paralympic delegations, and attended by the families of the murdered athletes plus medalists from previous Olympics and British Ambassador Matthew Gould, Livnat noted that several countries have taken up Israel’s cause, but Gilady and the IOC refuse, she said. Gilady’s excuse had been that he didn’t want to give Israel’s enemies any opportunity to boycott the Games. Livnat did not buy this. “Alex Gilady, you still have a chance to right a wrong,” she declared. Both Efraim Zinger, the Secretary General and Zvi Varshaviak, the Chairman of the Israel Olympic Committee, noted that this was a milestone year not only because it was the 40th anniversary of the Munich massacre, but also because it was the 60th anniversary of Israel’s initial participation in the Olympics and the 20th anniversary of Israel’s first Olympic medals. Since Barcelona they emphasized as did Livnat, Israel has come home with at least one medal from all the Olympic Games. 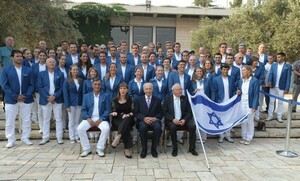 Meet the Jewish Israeli IOC kapo behind the Olympic refusal to remember Slain Israeli Athletes. Blogger Debbie Schlussel alleges that Alex Gilady's liberal ideology and business interests in sports and Olympics media are a glaring conflict of interest which "should have disqualified Gilady from ever being nominated by Israel to serve on the IOC." Gilady was NBC’s liaison to the IOC and its Vice President of Global Operations. Gilady was instrumental in getting the network its exclusive long-term deal to broadcast the Olympics in the U.S. through 2008, which made him big bucks. And you don’t get those broadcast rights and the big bucks that come with them, by pushing the Olympics to recognize slain Israeli athletes. By the way, NBC’s approval was necessary for Gilady to own the Israeli television station while he remained on the network’s payroll. And that approval was easily granted because, hey, he’d never advocate for Israeli memorials at the Olympics and jeopardize NBC’s Olympic megabucks. Yes, this is clearly not a man who will ever represent Israeli interests on the IOC, but rather his own left-wing and bank account interests.